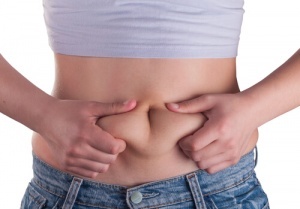 Do we suffer from a toxic fatty tissue syndrome? It is very difficult to treat, if we have no way to diagnose it or measure it. Until a few years ago it was really an abstract part of medicine, but nowadays the term “soft inflammation, metabolic syndrome or toxic fatty syndrome” is widely accepted, and ways are found to be registered. The best way to diagnose is certainly with blood tests, not with general inspection, because an athlete can have this pathological condition of the organism in a more pronounced form than an easily filled person. What are the subjective markers for silent inflammation of the body or the syndrome of toxic fat tissue? 1. Do you have overweight? – and this does not mean BMI (body mass index), but a percentage of fat tissue. It is ideal to have 22% for women and 15% for men! 2. Are you tired immediately after getting up from 7-8 hour sleep? 3. Do you react excessively and pre-emptively to a stressful situation? 4. Are you constantly hungry for pasta or mildly? 5. Are you tired during the day? 6. Are you hungry 2 hours after a plentiful meal? 7. Do you have brittle nails and weak and mole hair? 8. Are you taking medicines for lowering cholesterol in your bloodstream? Of those we can realize, is the ratio between total triglycerides and the value of HDL (good) cholesterol, taken on an empty stomach . The higher is, especially if it is higher than 4, then it is very likely that you suffer from this syndrome. Also, the ratio of these two markers is an indicator of insulin resistance and the existence of a metabolic syndrome. The higher is, the higher the level of insulin resistance. Whenever a high TG / HDL ratio is obtained, a level of insulin on the fasting (higher than 10uU / ml) should be made in addition to the previous listed conditions. But the best and most sensitive blood test, which will show a toxic fatty tissue syndrome, is an examination of the relationship between AA / EPA, i.e. arachidonic acid and eicosapentanoic acid. This examination is not done in our laboratories and we could not have much to keep on it. However, it should be noted that values that support the healthy body, with no preference to chronic and malignant diseases, are around 3, or ideally 1.5 (AA / EPA), whichever is higher than 9 is associated with diseases. These values are characterized by people living in Japan, and they are considered the longest and the healthiest people in the world, while those living in the Mediterranean have values of 6-9. An American who belongs to the group of “healthy” individuals has a relationship of 12. However, we still stick to some food balance, but if we continue without thinking and criticality to accept “fast food” ideology will quickly enter the group of “healthy” Americans. If the ratio is 20 or more then it is certainly associated with a chronic disease: diabetes, hypertension, heart disease, malignant disease, etc. This relationship essentially shows the inflammatory response of the body, ie the state of the body when attacked by a very high concentration of arachidonic acid. Another essential fatty acid that we determine through blood tests is DGLA or dihomo-gamma-linolenic acid, which is anti-inflammatory, struggles with the condition of the body not to get sick and the more we contain the more we maintain the body, young and healthy (antiaging effect) . Inflammation – When can save life, when can take away the health.